More Locations Select a Location 3000 E. Fletcher Ave. 38039 Arbor Ridge Dr.
Dr. Richard C. Morrison, Jr., is a Board Certified cardiothoracic surgeon specializing in minimally invasive vascular surgery, daVinci robotic surgery, thymectomy, and Transcatheter Aortic Valve Replacement (TAVR), serving the Tampa area since 2002. 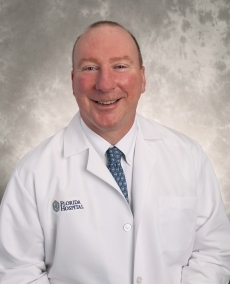 Dr. Morrison is one of a few doctors in the Tampa Bay area trained to perform robotic mitral valve repair. He also performs robotic thymectomy. He is one of few in the area performing laser lead extractions. Dr. Morrison works hard to have patients get through their procedures with as little discomfort and as little side effects as possible. When he sees the gratitude of the patients family, it really makes the extra effort worthwhile.